"Firewalk Instructor Certification with Peggy Dylan - August 2019"
The ONLY comprehensive certification program in firewalk leadership, taught by Peggy Dylan. We are absolutely thrilled to offer the world’s best, longest running and most comprehensive Firewalk Instructor Certification Training available. This workshop will qualifying you as a SUNDOOR Firewalk Instructor. The certification training will give you all the information, skill, tools, support and the network you need to successfully incorporate the firewalk into your own workshops and events. You will be trained by the most experienced Firewalk teacher on the planet: Peggy Dylan. Peggy Dylans' Training centre "Sundoor" is known for excellence in leadership trainings and has been the foremost educator of Firewalk Instructors for the last quarter century. Become a healing and empowering force on the planet by being a firewalk leader! Peggy Dylan will give you as much personal experience with the fire as possible and guide you through the process of becoming the best equipped, confident, capable and inspiring Firewalk Instructor you can be! After completion of the Firewalk Instructor's Certification you will be authorized and capable to conduct firewalks, arrow breaks and rebar bends with your own groups. You will also have access to our exclusive graduates’ forums, which host tons of information, direct links to your peers, online support, personal blogs from Peggy and much more. In the Firewalk Instructor Certification Training you are taught all the intricate details that make the firewalk such a powerful tool for transformation. 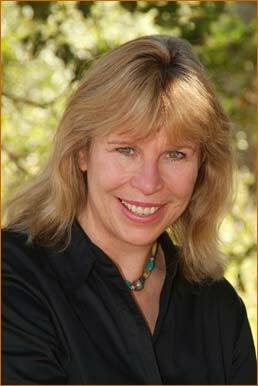 During this training Peggy Dylan will pass on her vast experience in firewalking and powerful leadership. For those of you desiring to learn how to use inspirational tools including firewalking, the arrow break and the re-bar bend in order to create dynamic workshops for your own groups, there is no better training. The course is extremely comprehensive, covering everything from workshop timing and public speaking skills to all the necessary information for safe firewalking fires. The methods you learn, along with the understanding of how to achieve what you are capable of, and the personal experience of the fire you receive in this week are the strong base of this unique advanced qualification. 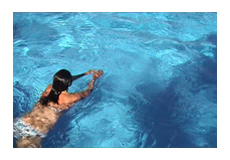 The Prerequisite of this training is that first complete the the Sundoor INITIATION training. This groundbreaking Life-Mastery program gives you not only the tools to be able to manifest your dreams, but also a deeper connection to the fire, and brings forward the qualities for you to step into new power. Join us and become the most powerful, connected and capable you! During breaks and free time, you can enjoy walks in the protected forests around the Centre. Or you can take a swim in the Centre's open-air and plant-filtered swimming pool. The language of this workshop is English, with Dutch translations, if needed. Sundoor’s Peggy Dylan is known for her illuminating presence, flowing love and compassion that flood your body and mind in waves with an unquestionable energy of transcendence. A pioneer in motivational and leadership trainings since 1976, Peggy's work and insight catapulted the firewalk to national attention as a leading-edge tool for human development in 1982. She continues to be a premier authority on this dynamic process. 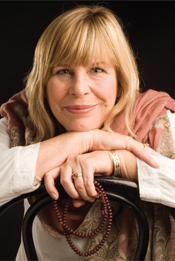 Publications have called her a practical mystic as she combines spiritual insight with down-to-earth and hands-on tools. Peggy has the uncanny ability to allow participants to grasp a new paradigm, a new way of thinking and being, which propels them into personal and professional success and a deep sense of joy and satisfaction in being alive. OR 245 euro if you find your own accommodations & breakfast. Yes I understand that Anam Cara is a vegan and drug-and alcohol free centre and will respect this during my participation.